“Bachelor in Paradise” may not be putting up those “Bachelorette” numbers for ABC, but the start to the show’s second week last night was steady with its debut seven days ago. And that consistency led the show’s home network to edge out NBC as Monday’s primetime Nielsen ratings winner in the all-important adults 18-49 range, according to early numbers. Meanwhile on CBS, “Carpool Karaoke: When Corden Met McCartney Live From Liverpool” came in as the James Corden-hosted special’s most-watched installment to date. 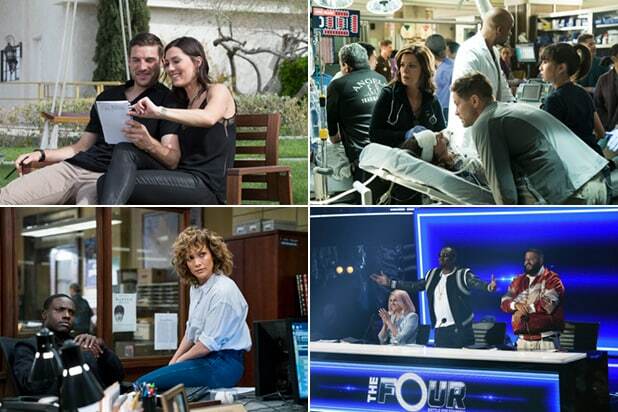 ABC was first in ratings with a 1.0 rating/5 share in the advertiser-coveted 18-49 demographic and second in total viewers with an average of 4 million, according to preliminary numbers. From 8-10 p.m., “Bachelor in Paradise” scored a 1.3/6 and 4.7 million viewers. At 10, “The Proposal” settled for a 0.6/2 and 2.5 million viewers. Telemundo was third in ratings with a 0.6/2 and sixth in viewers with 1.3 million. CBS, Univision and The CW tied for fifth in ratings, all with a 0.4/2. CBS was third in viewers with 3.4 million. At 8, the “Carpool Karaoke: When Corden Met McCartney Live From Liverpool” special received a 0.6/3 and 4.3 million viewers. At 9, “Salvation” had a 0.3/1 and 2.6 million viewers. “Elementary” at 10 got a 0.4/2 and 3.4 million viewers. The CW was fifth in viewers with 1.4 million. At 8, “Penn & Teller: Fool Us” settled for a 0.3/2 and 1.5, with a second episode at 8:30 taking a 0.3/1 and 1.5 million viewers. At 9, “Whose Line Is It Anyway?” managed a 0.4/2 and 1.3 million viewers and was followed by a repeat. Univision was seventh in viewers with 1.2 million.